If you are considering buying a new kitchen in Ireland then there are a number of Irish Kitchen magazines that you can buy to find inspiration. 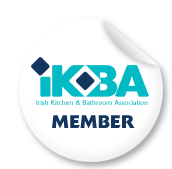 Irish Kitchens and Bathrooms is an annual publication by Dyflin Media who also publish House and Home. The All Ireland Kitchen Guide is published twice a year in April and September by the publishers of Irelands Homes Interiors and Living magazine. The Best of Irish Kitchens is published bi-monthly by Bayview Publishing. Although not strictly a kitchen magazine Image Interiors and Living is also an excellent magazine for someone considering buying a kitchen.